I don’t care what you say, I really like this movie. Does it have problems? Does it ever. I don’t fault anyone who hates it. But I like it. You’ve already spotted all of the problems with this movie – I’m not going to point out anything that hasn’t been noted before. But I can’t be convinced that we aren’t better off with this movie and the prequels themselves than if they hadn’t been made. 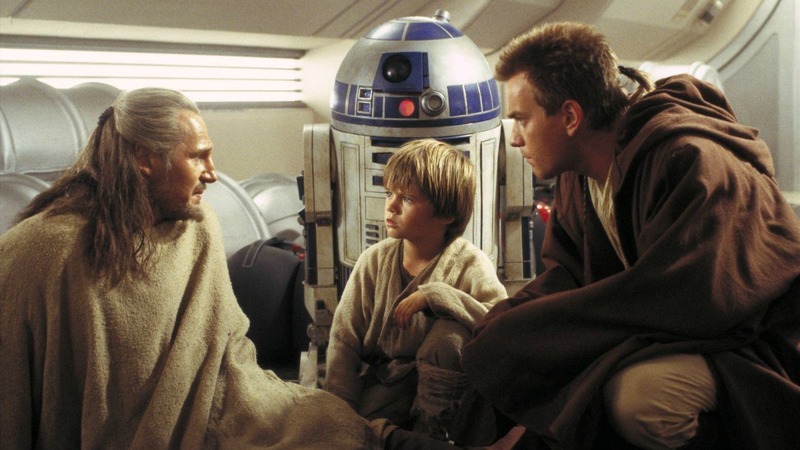 Even if I didn’t like the prequels at all (and I honestly do), what would we have if Lucas really did leave well enough alone as so many of my generation (those that grew up with the OT) wish he had? 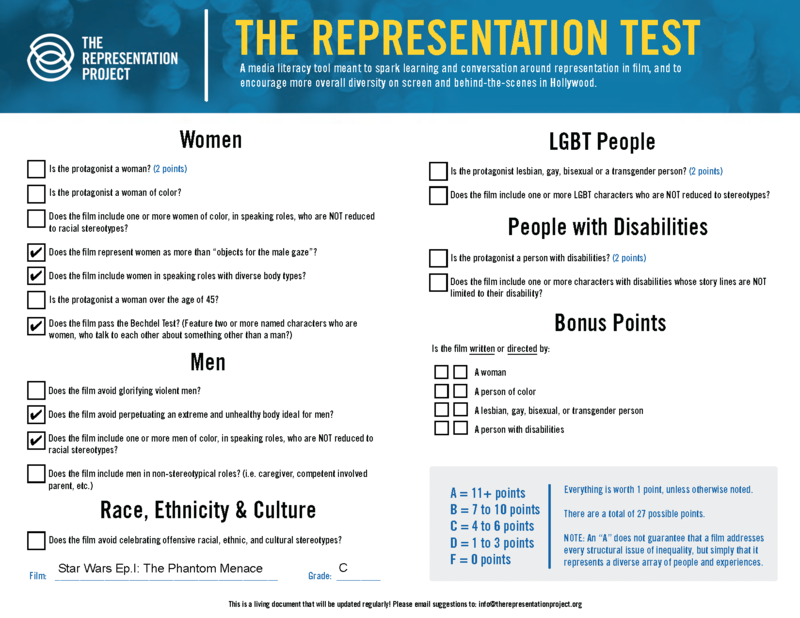 What would we be missing? 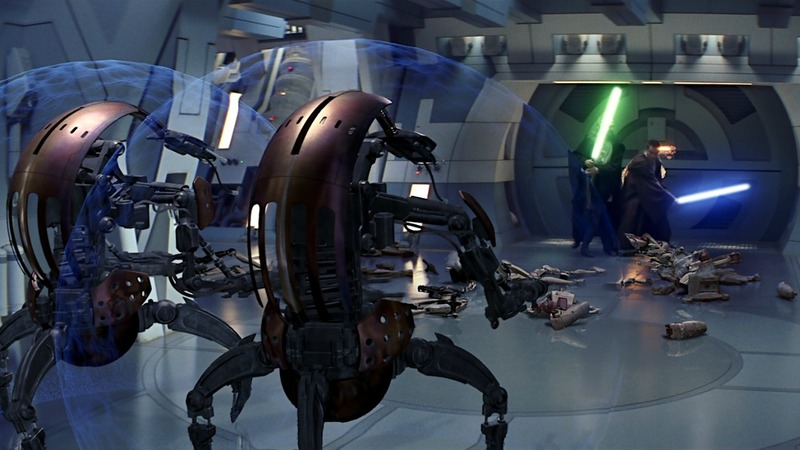 The only Jedi we would ever have seen in action would have been an asthmatic robot-man, an old man and a whiny half-trained kid. 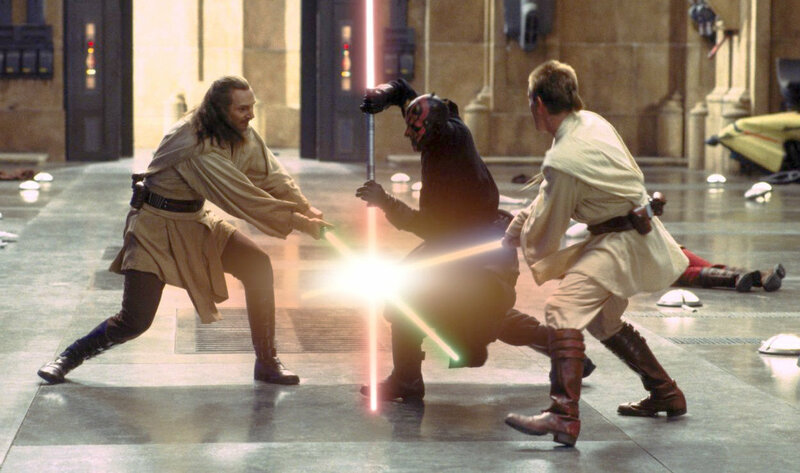 To be fair, we still get a whiny kid and an old man, but there are some seriously cool, intense, acrobatic fights that really expanded the possibilities of what you had imagined these Jedi capable of. 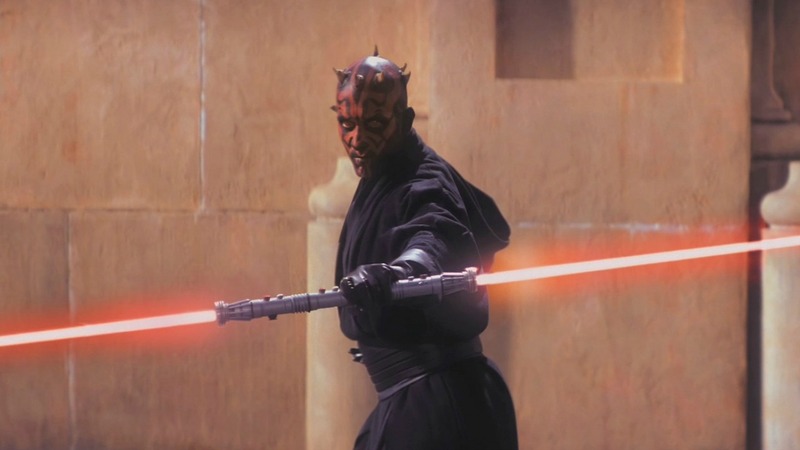 I’d sit through another two hours of bad dialogue to get another fight like the hangar battle with Maul. 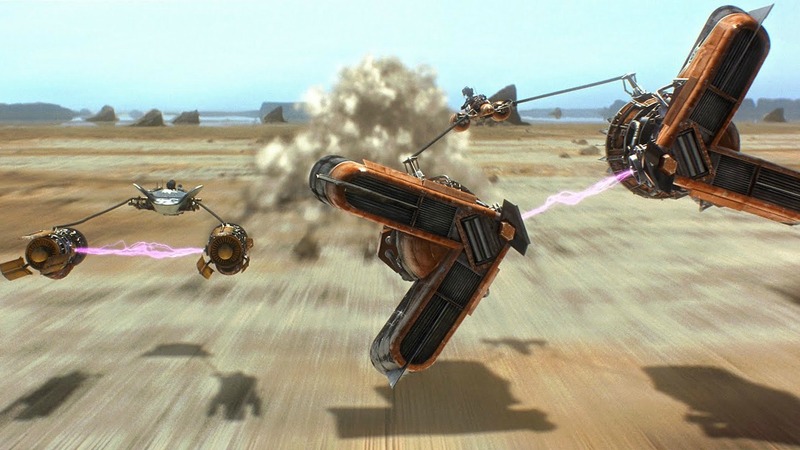 And that’s just in this movie – the battles in Ep3 are even better. 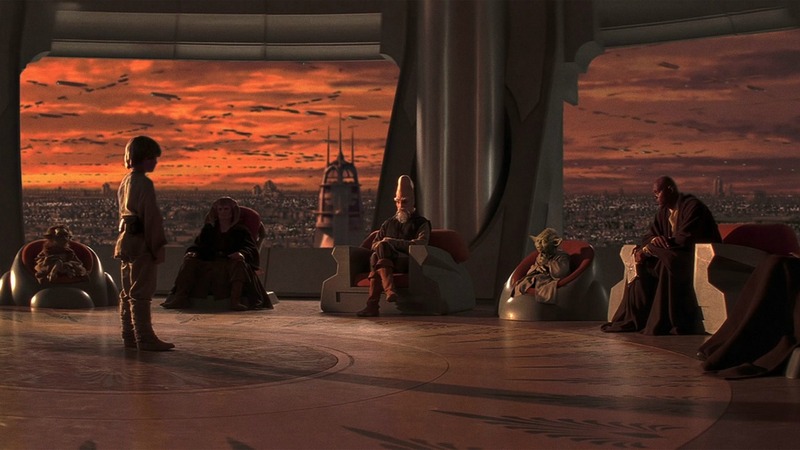 No concept of the Jedi Order, the master/apprentice dynamic, what it was like to see the Jedi at the height of their power and what it really meant for the Emperor to crush them. Digital filmmaking would still be in its infancy. I recognize that many would view this as a good thing, and there are lots of great arguments against, from the look of some digital cinematography to the over-proliferation of CG effects. But Lucas’s push for digital has led to more uniform quality in cinematic presentation, the ability for simultaneous release dates throughout the world, day and date releases of independent films through multiple outlets, not to mention severe reductions in cost and production time leading to fewer barriers to entry and a much more accessible environment for new and independent filmmakers. 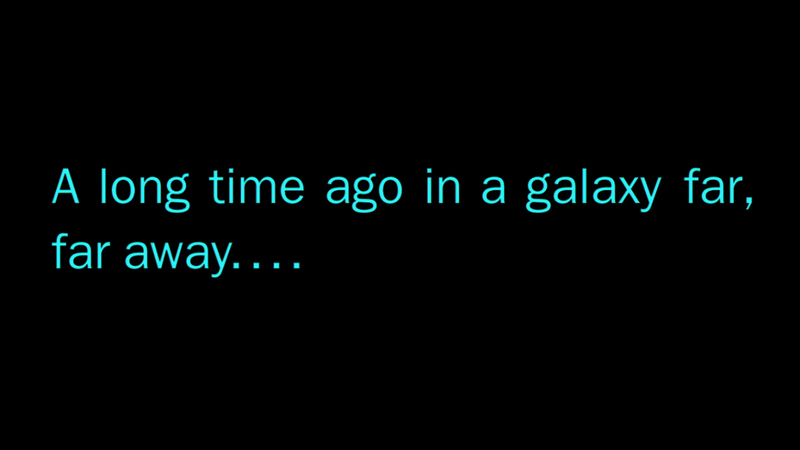 But most importantly, the biggest thing we’d be missing is the presence of Star Wars in our lives. It was completely off the radar. Fans don’t like to admit it, but the Wars could very well have become just another old film series, no more relevant than the Back to the Future films. 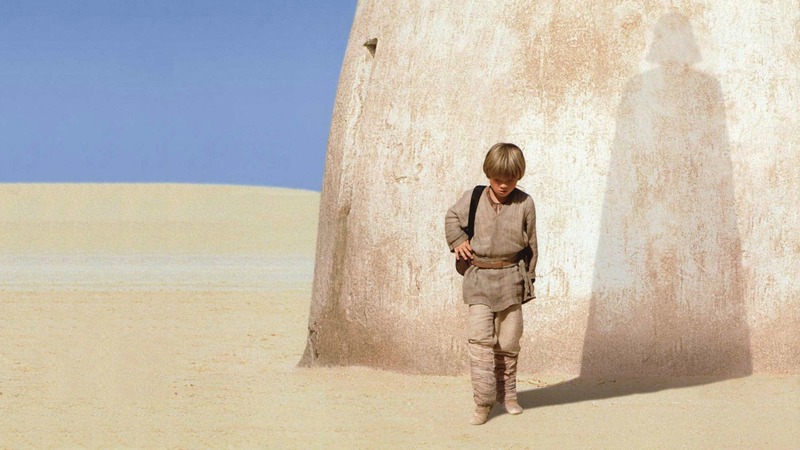 The landscape was pretty barren post Ep6, and while interest sparked up in the early 90’s with the return of novels and RPGs, you really cannot underestimate how much there needed to be new movies to really bring Star Wars into the modern age. Star Wars is now bigger than it has ever been. I can share it with my own child. And that’s what it’s all for in the first place. I don’t need each movie to be as good as the first few any more than I expect each Bond film to rival Goldfinger. The important thing is enjoying these things and sharing them. 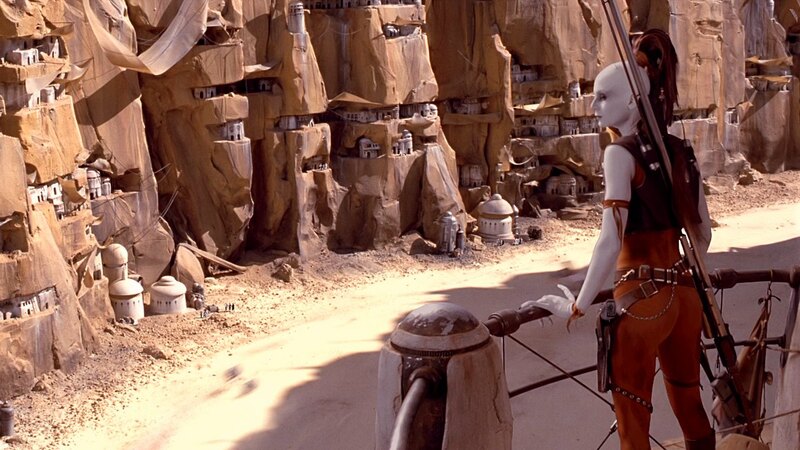 15 years ago today, on May 19, 1999, Star Wars: Episode I – The Phantom Menace opened to an unbelievably excited public. I got to sit with my parents and sister as I did when we saw the original films, but this time my wife (then girlfriend) was by my side. I bought a couple of Star Wars figures in the lobby to give to my parents as a minor way of thanking them for rushing out to buy Kenner R2 & 3PO figures for my sister and I after the first film. I never thought I’d get to see another SW film. I was able to revisit something from my childhood but bring it into my adulthood. I get to share this love with my daughter. Nothing is better or more important to that. 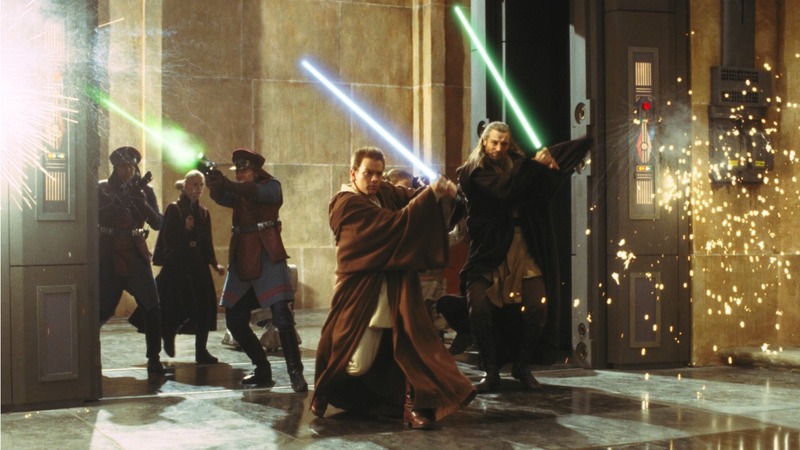 I love The Phantom Menace for all of that. Explain to me again how this isn’t awesome? Plot Two Jedi Knights escape a hostile blockade to find allies and come across a young boy who may bring balance to the Force, but the long dormant Sith resurface to reclaim their old glory. Tagline Every generation has a legend. Every journey has a first step. Every saga has a beginning.